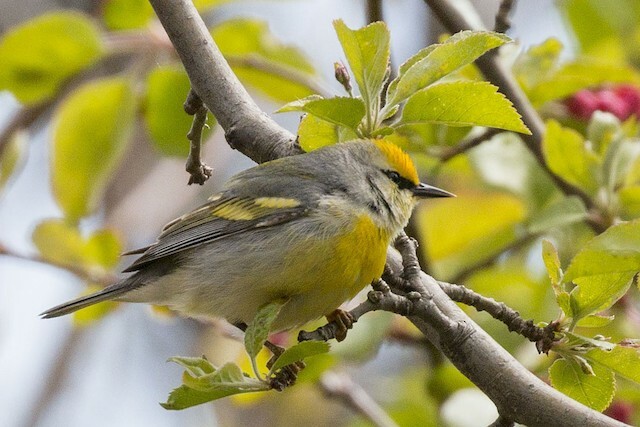 A beautiful Brewster's Warbler was seen and photographed in the park yesterday. 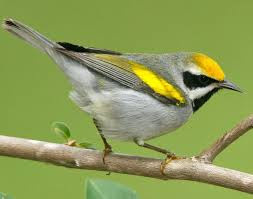 This bird is a hybridization of a Golden-winged Warbler and a Blue-winged Warbler. When you look at the images of the two birds below, you can see colour characteristics of both individual species in the Brewster's. 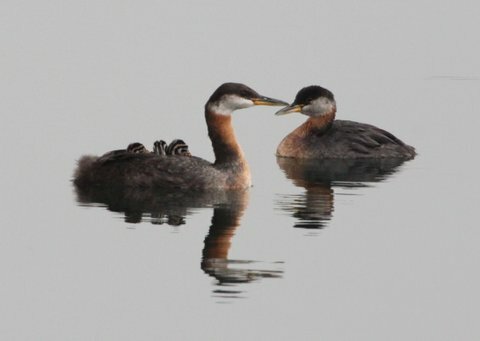 Thanks to Brian Bailey for the wonderful photograph and E-birds report. 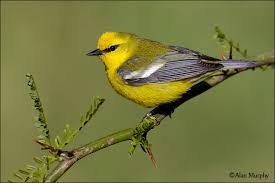 "Singing a Blue-winged song in and around the dogwood patch. First generation male. Originally found in a treetop. Relocated much later low in the dogwoods."